The Nike Air Zoom Pegasus 35 FlyEase has every benefit of the iconic shoe, plus effortless on and off. The laces don't need to be tied; a strap with a zip quickly secures your fit. Flywire cables connect the zip to the laces, which can be tightened or loosened manually, as you like. A mesh and synthetic upper lets your stride breathe. The Nike Air Zoom Pegasus 35 FlyEase has every benefit of the iconic shoe, plus effortless on and off. The laces don&apos;t need to be tied; a strap with a zip quickly secures your fit. Flywire cables connect the zip to the laces, which can be tightened or loosened manually, as you like. A mesh and synthetic upper lets your stride breathe. Zip closure assures ease of on and off. Pull the strap to secure or remove the shoe. Engineered mesh and synthetic upper offers lightweight ventilation. Flywire cables connect tie-less laces to a zip strap. Cushlon foam midsole provides soft and springy cushioning with a supportive feel. Encapsulated, full-length Zoom Air unit delivers responsive cushioning. Modified Waffle pistons on the rubber outsole help absorb footstrike impact and provide multi-surface traction. A segmented rubber crash rail on the lateral outsole allows flexibility. Effortless open/close design benefits adaptive athletes. The lace-free FlyEase closure system connects a hook-and-loop strap to a wraparound zip, letting you open or close the shoe—heel and all—in one fluid motion. Bungee cords through the top of the foot help secure the fit. The whole design eliminates the need to tie the shoes. Standard deliveries arrive in 2-3 days; we deliver 7 days a week. You can select a day and one-hour time slot with DPD Precise after placing your order. My 26-year-old son was born with cerebral palsy, affecting his left side. This is the first "cool" and adaptable shoe we have found for him. It is also the first shoe he has been able to put on with no assistance. Having just been through major hip surgery, these have been a huge boost to his morale. I hope Nike continues to pioneer shoes that include people from all "walks" and "runs" of life. A+ for Nike! Looking at this shoe I am interested to see if it would work with an AFO? It seems like it would because it would make inserting the brace and foot easier from the back. Does it come in women’s sizes? 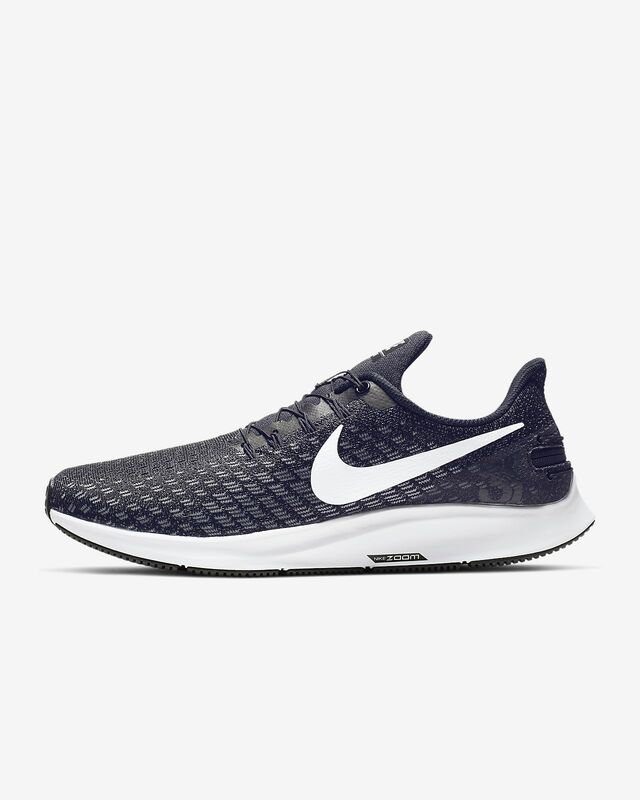 As a runner, I have always preferred Nikes, but suffered a traumatic injury from a fall while running and ended up with drop foot as a 39 year old. 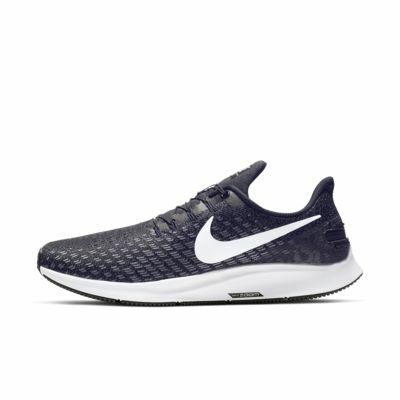 I have had the WORST experience trying to find shoes that will work and am hoping that maybe these will work? Being a shoe designer, technician, production and product quality person. I was surprised that Nike did not consider that a Extra Wide fit would have a need for a larger instep allowance when trying to zip the the shoe closed. The laces used on the upper part of the lacing of the shoe has no elasticity as the lower lacing of the laces. The top part is fixed and rigid with no options to lengthen and allow for an easier closure instead i found myself struggling to close all 3 pairs of this model that I purchased after I threw away the boxes and could not return them, the 3 pairs are because I live in different parts of the world & instead of carrying the shoes with me all the time as I walk every morning my 3 Miles for health reasons, and I travel an average of 400,000 Miles annually, I choose to travel as light as possible leaving clothes and shoes in all of my homes overseas.. I was very disappointed that Nike did not consider this type of option when designing and offering this type of footwear for Wide & Extra Wide fits, along with the depth of how low the zip closure on the heel part of the shoe is so low that it is uncomfortable along with the lack of a more cushioned lip at the top of the zipper causing discomfort when walking I am not abnormally heavy, at 5' 11" 205 Lbs, with a 48 Blazer & 35 Inch Waist. if I am having these issues, I cannot imagine another man that may be carrying more weight than I do.